It is a very beautiful apple watch band. Design is awesome. It fits all apple watch versions: Series1, series 2 and series 3. It is a unique and shiny gift idea for any occasion: Christmas, birthday, valentines day etc. 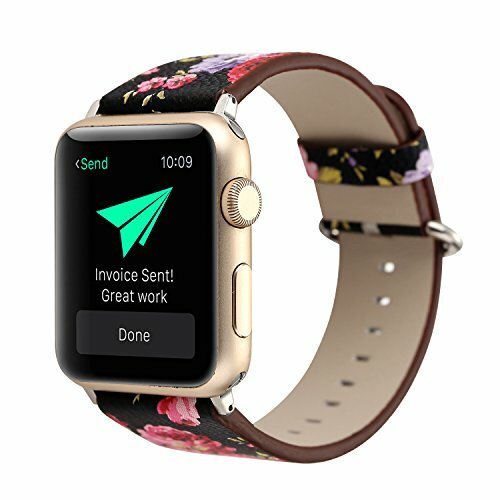 Dress up your apple watch, it will not let you down feature fashionable band of your watch. Perfect holidays' gift choice. Condition: 100% brand new. Suitable for:Iwatch 38/42mm material:Pu leather length of 38mm:11.5-15.5cm length of 42mm:12-17.5cm package include: 1 watch band.